The Islamic State has also studied revelations from Edward J. Snowden, the former National Security Agency contractor, about how the United States gathers information on militants. A main result is that the group’s top leaders now use couriers or encrypted channels that Western analysts cannot crack to communicate, intelligence and military officials said. I've mentioned here several times that Snowden and his friends continue to leak NSA documents long after he has made his point about government intrusion. The leaks serve no purpose except to aid the interests of the enemies of the US, such as ISIS, Russia, China, Iran, etc. Whatever Snowden was when this all started, he is now no different than a mole working for the other side stealing the crown jewels. No logical case can be made at this point for divulging more classified documents on "behalf" of the average US or world citizen. 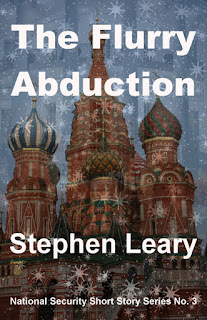 See my recent short story "The Flurry Abduction" based on the Snowden case.